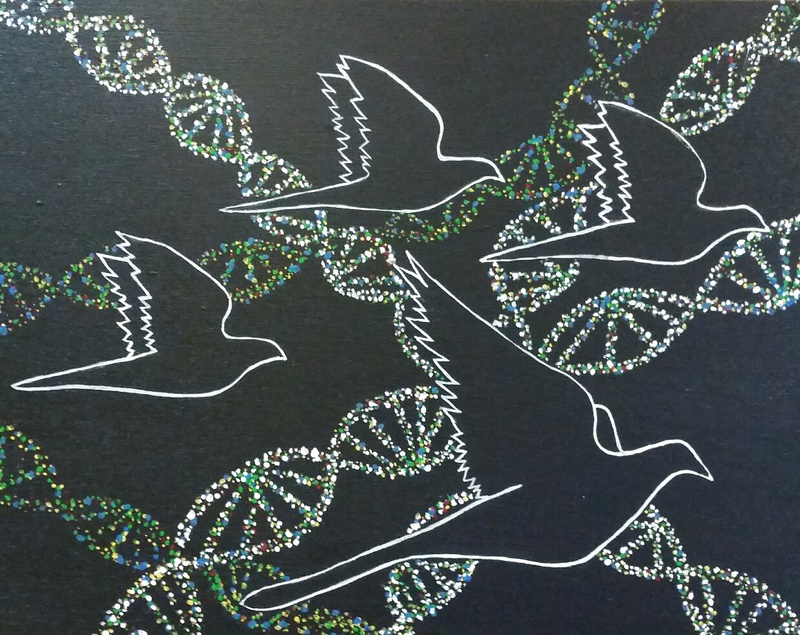 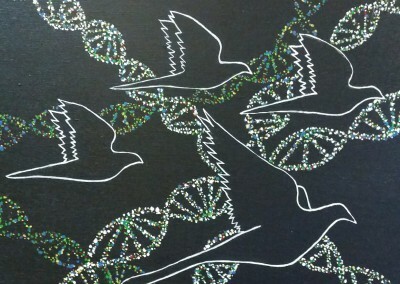 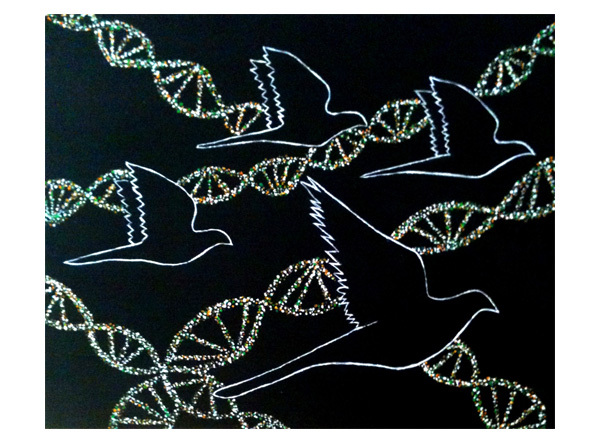 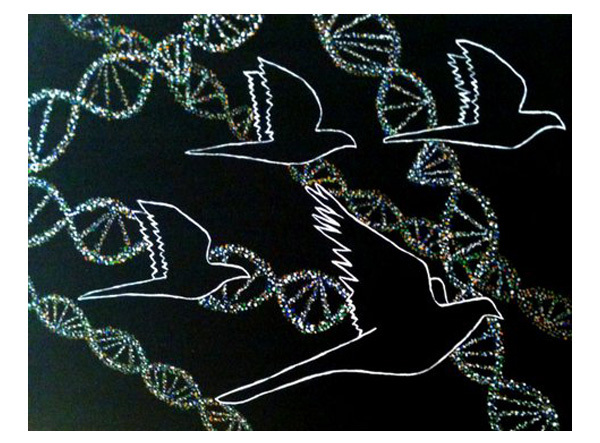 Passenger Pigeons went from being one of the most abundant birds in the world during the 19th century to extinction early in the 20th century. 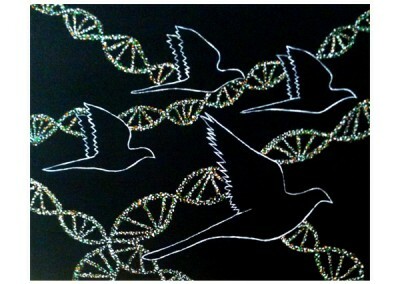 One hundred years later, all we have left is their DNA. 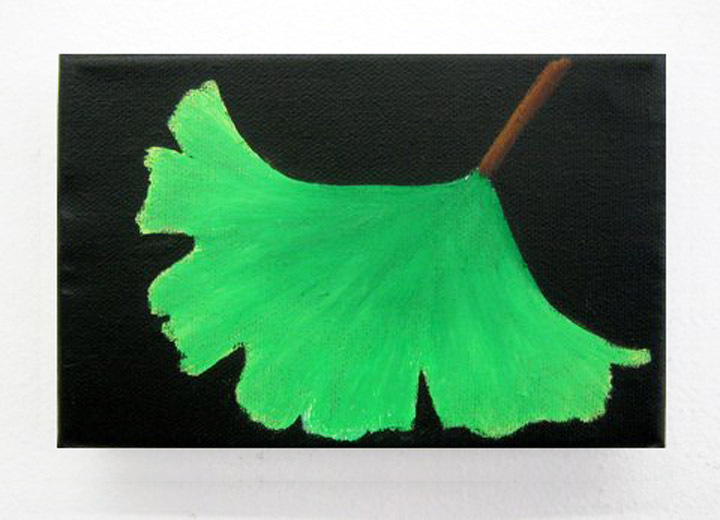 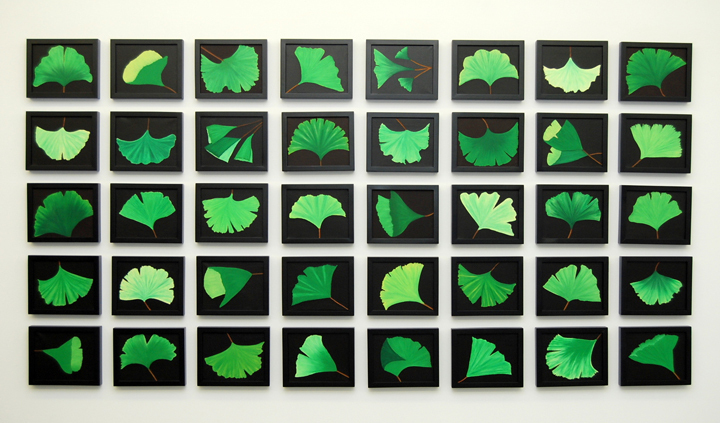 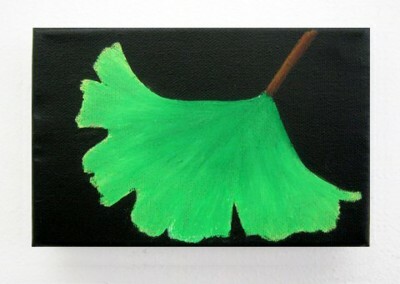 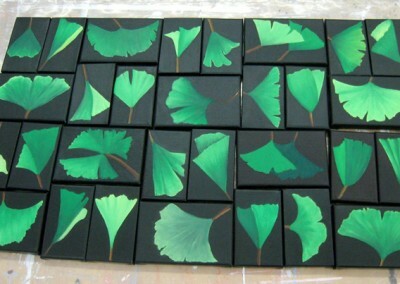 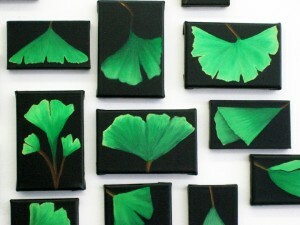 Ginkgo is a genus of highly unusual non-flowering plants. 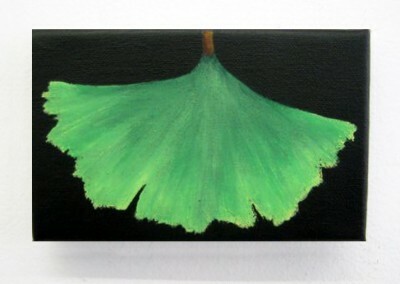 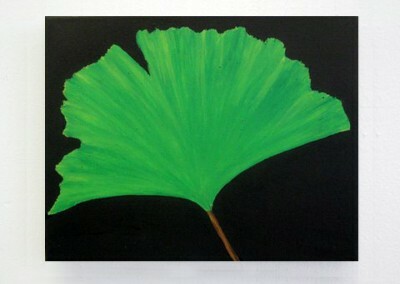 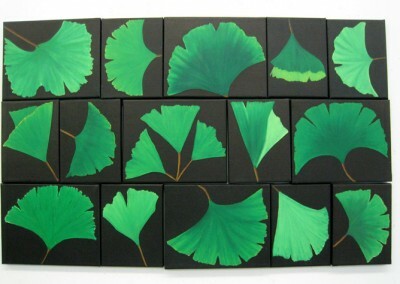 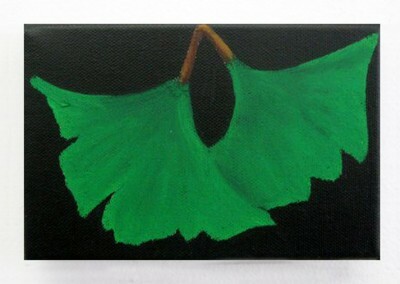 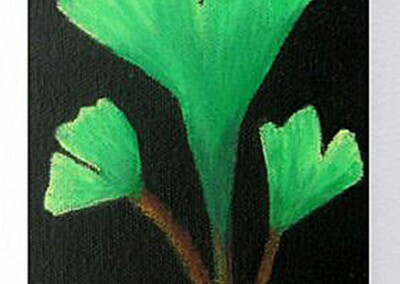 The genus first appeared in the Permian, 250 million years ago, possibly derived from “seed ferns” of the order Peltaspermales, thus the Ginkgo is a living fossil. 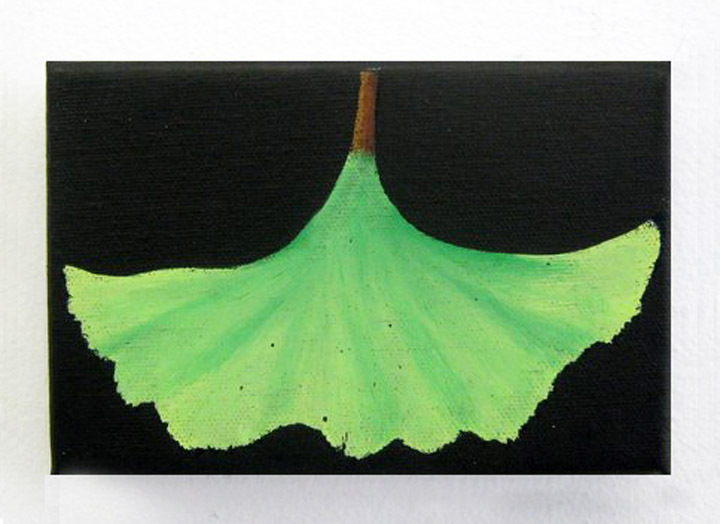 A single tree can live as long as 1,000 years and grow to 120 feet. 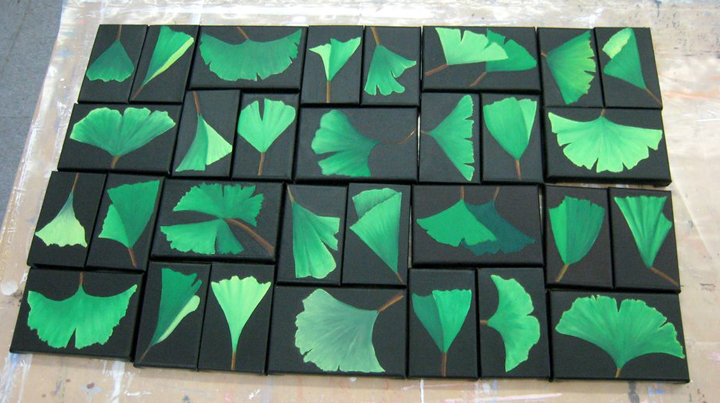 The Ginkgo is a tough and hardy tree, they can live in most climates therefore they have been planted and cultivated all over the world. 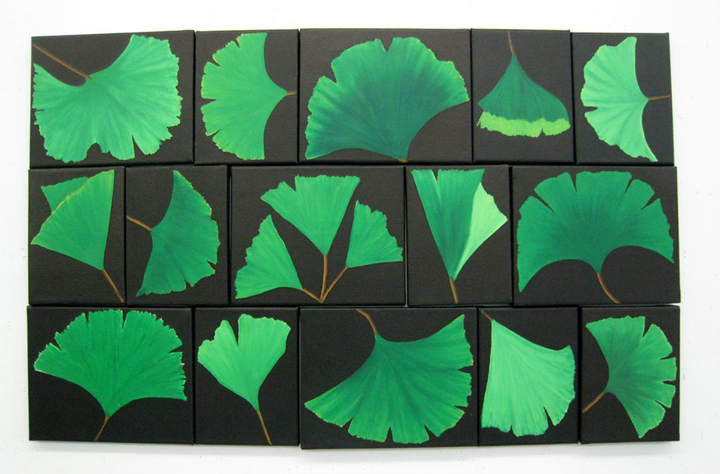 For thousands of years, leaves from the Ginkgo Biloba tree have been a common treatment in Chinese medicine. As an artist, this tree represents the plant kingdom, and I paint the leaves as a way to show respect and pay tribute to its strength and endurance. 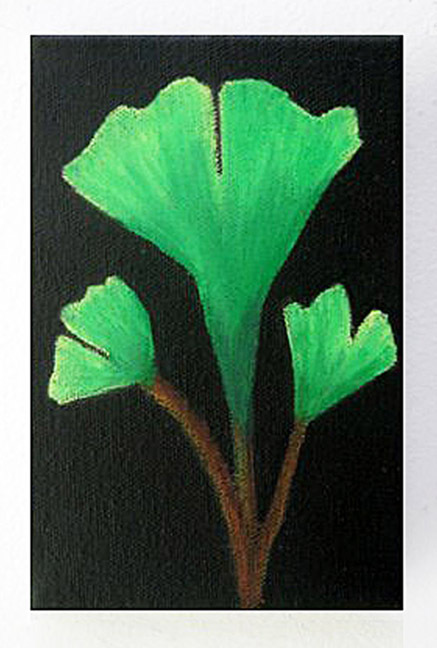 If humans became extinct, life on the planet would survive, but if there were no plants, humans would perish. 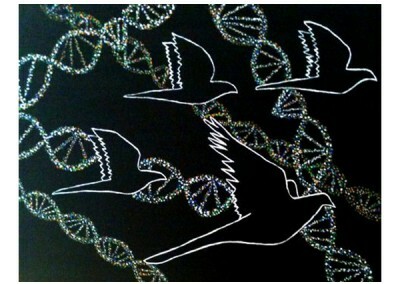 Our existence depends on these species.